ISLAMABAD: The Sharif family standing trial in the National Accountability Bureau (NAB) references has challenged the Joint Investigation Team (JIT) report, saying “neither the report of the JIT nor any opinion formed nor inference drawn by the investigation officer can be brought on the record, being inadmissible”. Subsequently, the accountability court reserved its verdict on the application of the Sharif family, requesting the court to issue a written order deciding to what extent the JIT head, Wajid Zia, can record his statement and produce documents from the JIT report against them in the NAB references. Judge Muhammad Bashir reserved the verdict after the defence counsel Amjad Pervaiz and Saad Hashmi and NAB’s prosecutor Imran Shafique concluded arguments. 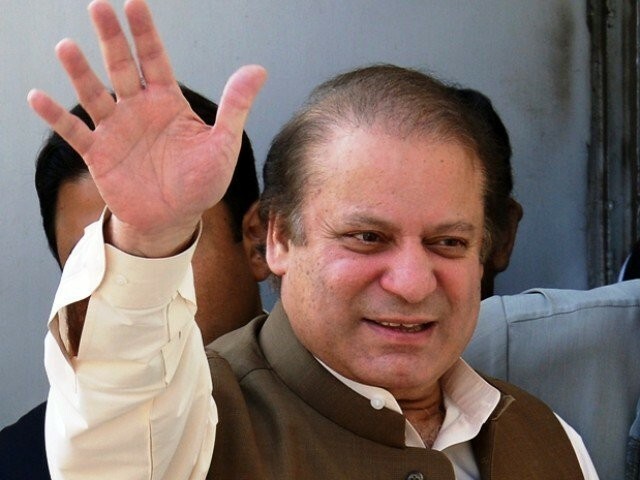 The application, submitted by Nawaz Sharif’s counsel Khawaja Haris, was read out loud in the courtroom on Tuesday by Haris’ co-counsel Saad Hashmi, as the court resumed hearing of the Avenfield Apartments reference wherein the JIT head continued recording his statement against the Sharif family. In the application, Sharif’s lawyer prayed the court that “during the course of recording of evidence of Wajid Zia neither the report of the JIT nor any opinion formed nor inference drawn by the investigating officer can be brought on the record, being inadmissible under the law”. The application highlights that certain questions arose during the recording of Zia’s deposition regarding the admissibility of certain portions he wished to bring on record. Haris stated that the JIT can be categorised in three distinct parts – the material in the form of documents collected by the JIT as evidence in the case; second, the statements of various persons; and third, the opinion formed or inference drawn on the basis of the material collected and statements recorded during the course of investigation. He added that only evidence that Zia can lead in the case is with respect to the material in the shape of documents collected by him during the course of investigation, adding this, however, is subject to admissibility of the material so collected. “Zia cannot be allowed to depose [of] with respect to the statement of any person recorded during the course of investigation which stands arrayed as an accused in the reference and statement of any person who is not cited as a witness,” he added. It added that detailed arguments were submitted by defence and prosecution, but till date no written order has been passed by the court while verbal observations have been made by which it may be gathered that this aspect of the matter may again be taken up by the court after the witness has made his deposition with respect to the material collected by him during the course of investigation. During the course of proceedings, Maryam and Safdar’s counsel Pervaiz expressed his reservations regarding the documents submitted by Zia, saying the Jabal Ali Free Zone Authority documents were not attested by the notary public and diplomatic agent. Hence, he said, these documents should not even be part of the court’s record. Pervaiz stated that while the questions put before the JIT were framed by the Supreme Court (SC) during the Panamagate hearings, the top court had not given any findings on the JIT’s findings. He added that the Supreme Court did not direct NAB to file references on the basis of the findings of the JIT; rather, directed NAB to prepare and file references on the basis of the ‘material’ collected by the team. He said the material collected by the JIT was not the final word, noting that fact and opinion were two different things. He concluded that all facts presented before the court should fulfill the criteria laid down in the Qanun-e-Shahadat Order, 1984 [Law of evidence]. In his arguments, the NAB prosecutor said that Zia has already recorded his statement under Section 161 of the Criminal Procedure Code (CrPC) before the NAB’s investigation officer, adding Zia has been appearing before the court as a witness; rather than an investigating officer as argued by the defence counsel. Shafiq said collection of material was not just limited to presenting documents before the court but how the witness collected the material. “He [Zia] can narrate how the documents were obtained,” he said, adding that the police and JIT reports were two different documents. Out of the documents submitted by Zia, only one document, i.e., Nawaz’s Iqama, was exhibited by the court while others were only marked – produced before the court but not admitted as evidence – after defence counsel raised objections. “He is neither the author nor has he collected the said documents himself,” they argued. After hearing arguments from both the sides, Judge Bashir reserved the verdict and took a 15-minute break. Upon his return, he noted that announcing the judgment may take longer than expected and decided to announce it on March 21 (today) instead. Also, Zia sought time to prepare for his testimony in Al-Azizia and Flagship references, saying he was preoccupied with the Avenfield reference and did not get enough time to prepare his statements for the two references. Subsequently, he requested the court to allow him to continue recording statement in the Avenfield reference before deposing the testimony in two other references. Accepting his plea, the court directed him to appear on March 22 to resume statement in the Avenfield Apartments reference. 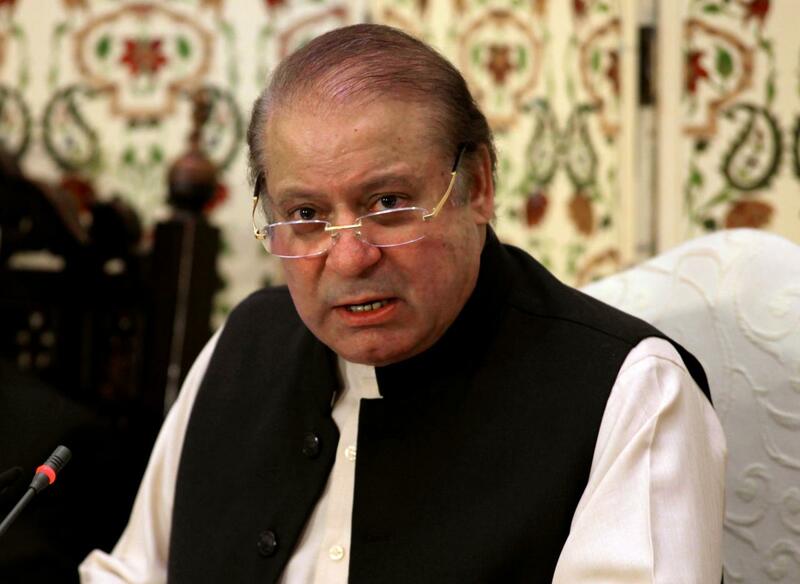 Meanwhile, addressing the media outside the accountability court, former prime minister Nawaz Sharif said the Pakistan Tehreek-e-Insaf (PTI) is made for people like Aamir Liaquat and “we are thankful that he did not join the Pakistan Muslim League-Nawaz (PML-N)”. “The past reference was covered in the new reference. What was the need of registering a new reference when nothing could be found out from the first reference? “When nothing could be found this year, so, how would anything surface in one-and-a-half month?” he questioned on extending the case deadlines. During the talk, a journalist questioned about Aamir Liaquat’s decision of joining the party so Nawaz Sharif smiled and said that “we are thankful to Allah that he did not join the PML-N”. “He had tried to join the party a couple of years back but did not join. The PTI has been formed for people like Aamir Liaquat. PTI deserves people like Aamir Liaquat,” he added. Nawaz said that he doesn’t expect anything from anyone. “What complaint can one make when he does not expect. It has been a common practice. And Musharraf’s return to the country is a joke”.